November 26th marks the seventh annual Small Business Saturday, a national event that promotes shopping with local small businesses. The Chamber is excited to be participating in Small Business Saturday by holding a Scavenger Hunt starting on November 26th and going through December 17th that the general public is welcome to participate in. Hunt for the posters hung up inside a variety of businesses. Each poster has a different word on it and it is your job to sort out the words and make out the sentence. Each store has a different sentence. Have fun with the scavenger hunt all while shopping small and supporting your local businesses. 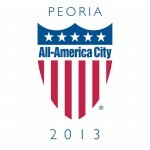 There will be a press conference on Monday, November 21 at 11:00 am located at Bremer Jewelry, 4707 N. University Street in Peoria, to kick off this year’s festivities. Please view the attached PDF for further scavenger hunt details. Businesses: make November 26 through December 17th the biggest shopping month of the year for your business by taking part in our Small Business Saturday Scavenger Hunt. 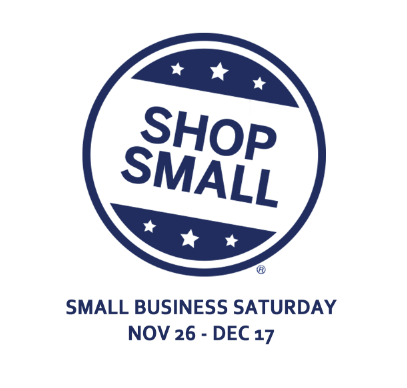 Check out resources that can help you stand out on the big day at ShopSmall.com or search Small Business Saturday Central Illinois on Facebook. Business Owners: We do have Shop Small door mats, canvas bags, and other merchandise available for use during the holiday season. Please stop by and pick yours up (*while supplies last). This is a day no small business would want to miss. Make sure you're a part of Small Business Saturday 2016.